The National Center for Jewish Film’s annual festival will feature limited release screenings, regional premieres and insightful discussions from May 2 to 13. Professor of American Studies Thomas Doherty, Adjunct Associate Professor of Jewish Film and Executive Director of the NCJF Sharon Pucker Rivo, and Hadassah-Brandeis Institute Research Associate Dalia Wassner will participate in post screening film talks during the festival. Additionally, many of the events are being sponsored or presented by Brandeis organizations. Founded in 1976, The National Center for Jewish Film is an independent non-profit organization with its offices located on the Brandeis campus. It features more than 15,000 reels of feature films, documentaries, newsreels, home movies and institutional films date from 1903 to the present. “The Dybbuk” May 6, 4:00 p.m. at Museum of Fine Arts, Boston. A mystical tale of star crossed lovers and supernatural possession in which two friends tempt fate by betrothing their unborn children. Made in Poland on the eve of WWII in a stylized, expressionistic manner that has been called “Hasidic Gothic.” The screening is the New England premiere of the film. Followed by a Q&A with NCJF co-directors Sharon Pucker Rivo and Lisa Rivo. “None Shall Escape” May 8, 5:00 p.m., Coolidge Corner Theatre, Brookline. The only Hollywood film made during World War II to depict the events later known as the Holocaust, None Shall Escape was released in January 1944 and powerfully imagines a postwar reckoning in which a United Nations Tribunal charges a Nazi war criminal with the murder of Polish Jews. The film was scripted by Lester Cole, a future member of a group of blacklisted writers who became known as the Hollywood Ten. Ensuing Q&A with Brandeis Professor Thomas Doherty, and celebration of his new book “Show Trial: Hollywood, HUAC & the Birth of the Blacklist.” To purchase tickets, please click here. “Cuba’s Forgotten Jewels” May 9, 5:30 p.m., Coolidge Corner Theatre, Brookline. 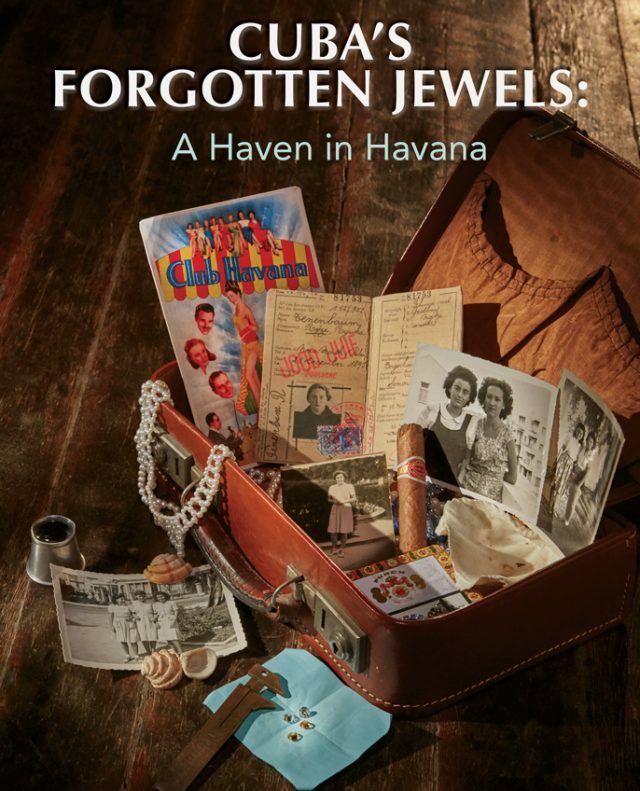 This documentary explores the little known story of the Jewish refugees who escaped Nazi-occupied Europe and found a safe haven on the Caribbean island of Cuba. Q&A with filmmakers Judy Kreith and Robin Truesdale, moderated by Dalia Wassner of Hadassah-Brandeis Institute to follow. To purchase tickets, please click here. The following Brandeis institutes, departments and centers are co-sponsoring and co-presenting events: The Tauber Institute for the Study of European Jewry, Sarnat Center for the Study of Anti-Jewishness, Center for German and European Studies, Schusterman Center for Israel Studies, Hadassah-Brandeis Institute, Brandeis Alumni and Friends, Brandeis National Committee, Department of Near Eastern and Judaic Studies, and the American Studies Program.